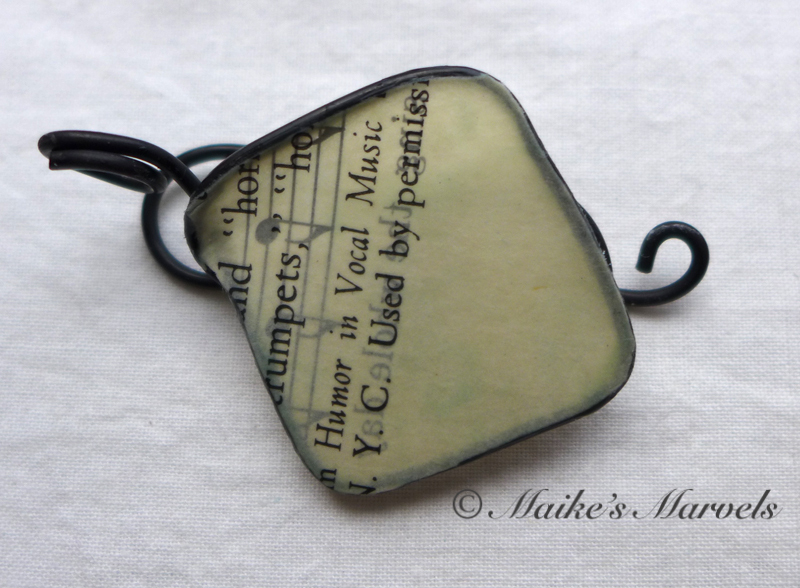 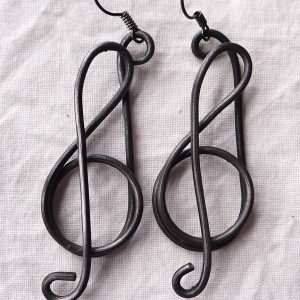 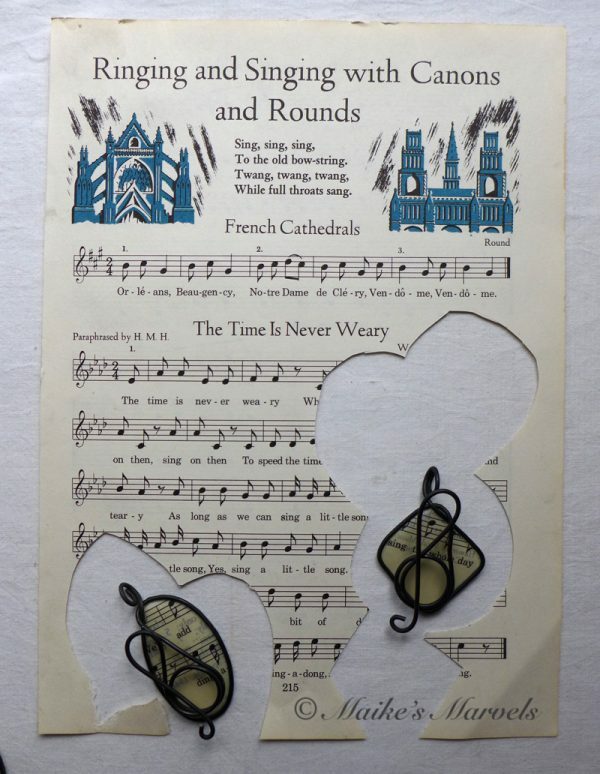 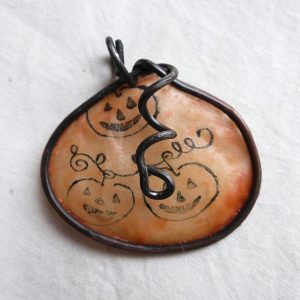 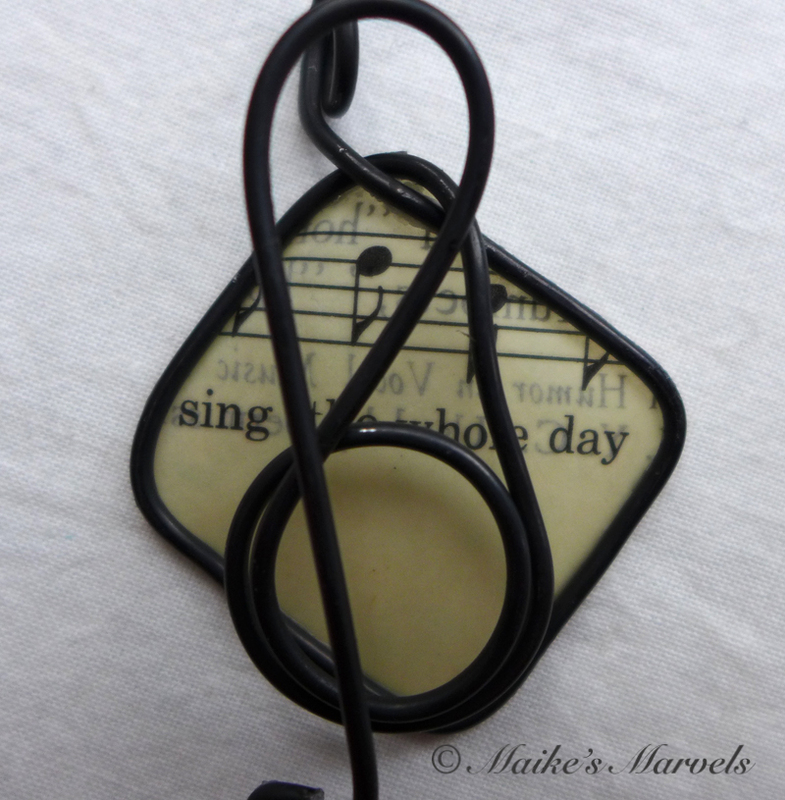 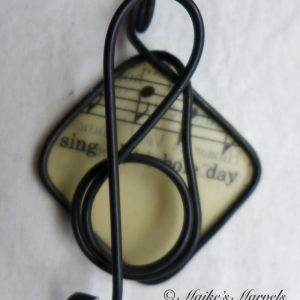 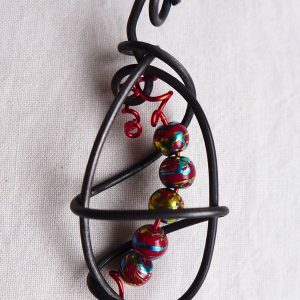 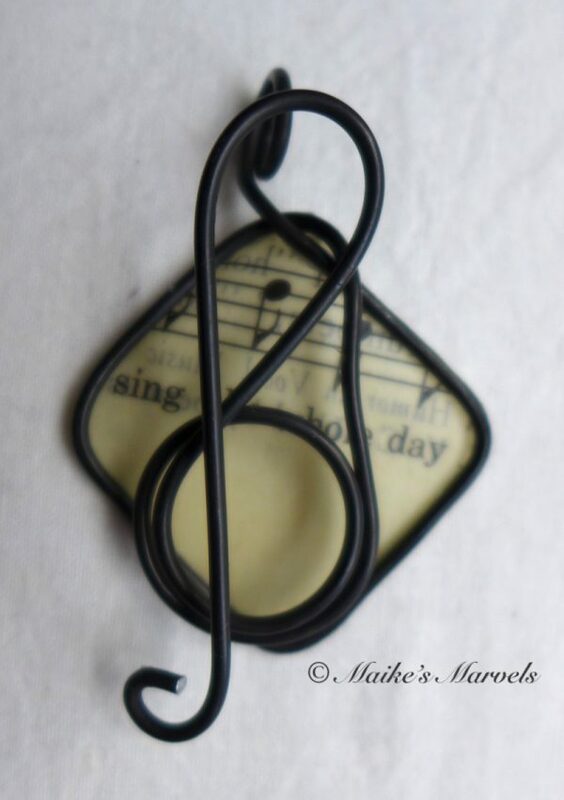 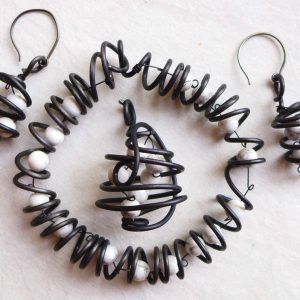 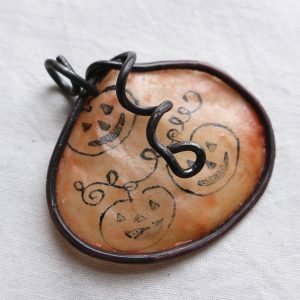 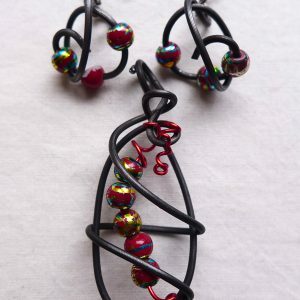 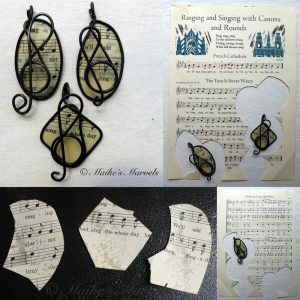 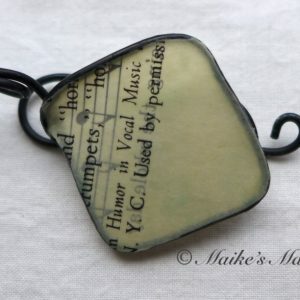 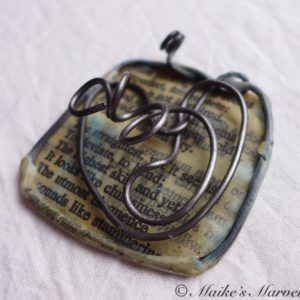 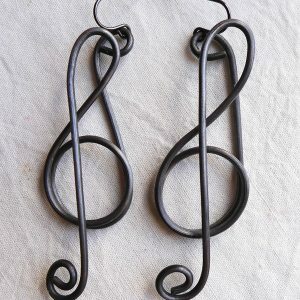 Musical pendants are popular, and I enjoy replenishing them. 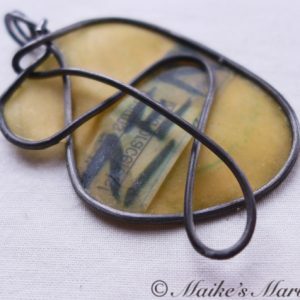 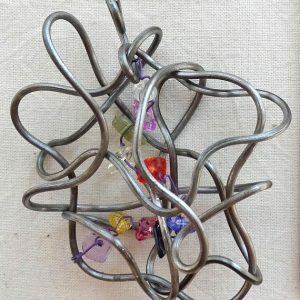 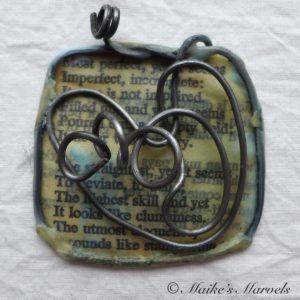 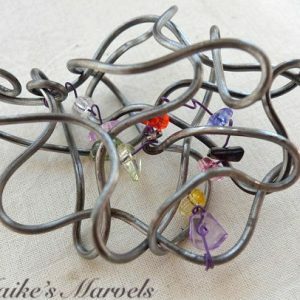 This square pendant was created by hand-bending wire around a square peg and then forming a violin clef on top. Then I looked through my songbook and found the phrase “Sing the Whole Day” fit perfectly inside this shape. 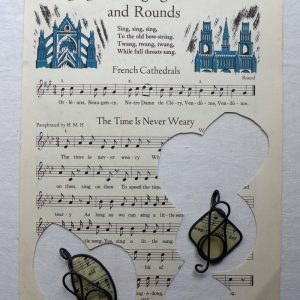 So I cut out that portion of the “We are Never Weary” song, which is attributed to Mozart. 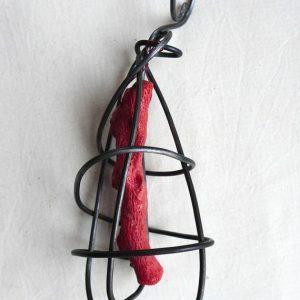 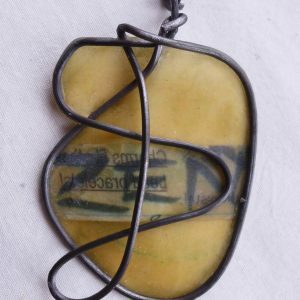 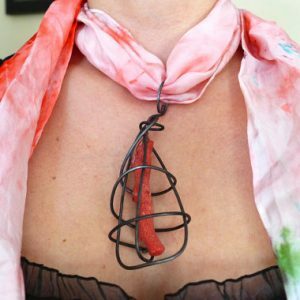 The paper was dipped in encaustic medium so it would be more archival, and then adhered to the wire shape with the molten wax.